See to Application SSH, Application SSH Overview, or the Diego SSH repository on GitHub for more information. Provides an RPC-style API over HTTP to Diego Core components and external clients, including the SSH Proxy and Route-Emitter. 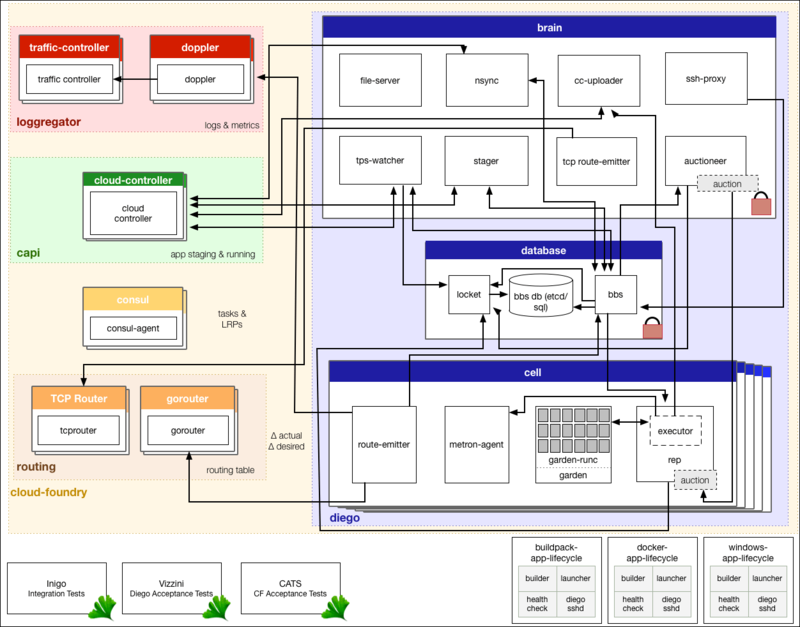 Garden contains a set of interfaces that each platform-specific backend must implement. See the Garden topic or the Garden repository on GitHub for more information.